12. Beginning of Something Exciting! 11. Exploring Neighborhoods & Packing Goodie Bags! Today, all the Neighborhood Assessment Project groups presented on their neighborhood of choice. It was shocking to compare my group’s neighborhood, Barrio Logan, with other ones such as Hillcrest. While Barrio consists mostly of a lower income minority population, Hillcrest caters to a younger, hip population. This is evident in the types of shops and housing that are available to residents. The average income ranged from $25,000 to over $100,000. While it is obvious that there are differences in wealth within cities, it was interesting to learn about specific, individual neighborhoods and how they vary in the provision of health services, public transportation, and affordable housing. Something that stood out to me was that even the more rich neighborhoods lacked easy access to health services and public transportation. 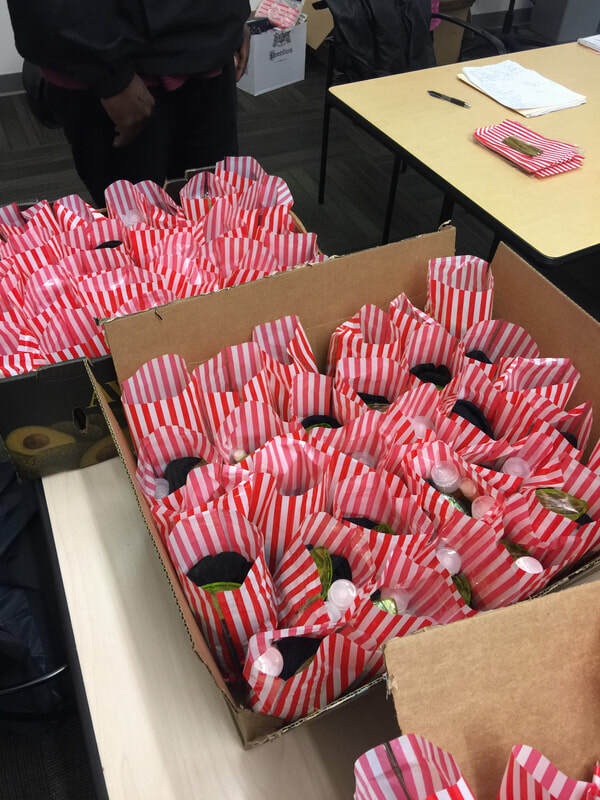 ​We ended the class by packing goodie bags full of socks, lotion, and soap for the attendees of Saturday’s Senior Prom at the West Center! Everybody worked together to pack over 100 bags quickly. I was unable to attend the prom, but I’m sure that the seniors enjoyed the activities, food, and music that my classmates planned. We had the last of our Extraordinary Person presentations today, and it was definitely emotional for many of us. A few classmates teared up while presenting, and that made my eyes water too. I felt like I learned about my classmates even more throughout this process. It was one thing to see the photos of our smiling EPs, but it was another to hear about our EP's values, losses, and strength. Behind every smile is a story that is so unique and complex. All of us go through life everyday alongside thousands of strangers, each with a different story. If we had the chance to get to know everyone we walk past, we would learn about the reasons behind their actions and feelings. We would learn to be more compassionate and understanding. We would treat our family and friends with even more patience and kindness. ​However, some of us tend to be in our own bubble, and are only aware of our own struggles. That causes us to see people and situations from just one perspective. If we take the time to truly get to know the community members we live with, we’d have a better idea of how to make life a little easier for everyone. I’m glad that Life Course Scholars is helping me realize this point even more, especially since I am a Public Health major hoping to work with underserved populations. If we don’t understand the people we work with, how can we help them? 9. Champagne & Smiles @ Casa de Manana! 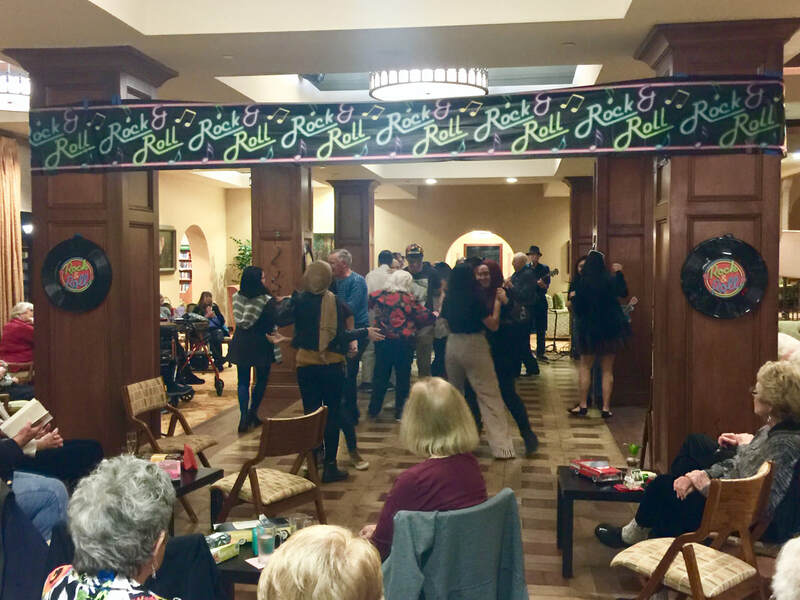 On this Tuesday evening, we had our Rock n’ Roll themed dance at Casa de Manana! A majority of the class arrived early at 6:30pm to help decorate the hall. In the beginning, I was nervous since there weren’t that many seniors. However, they started to trickle in in ones and twos. One couple came in holding hands, which was really heartwarming to see! The live band started to play, and a few of my classmates and the seniors started to show off their dances moves on the floor. Many of the seniors we got to talk to were in their 80s and 90s, but they still got their energy and danced better than all of us. Midway, we had a raffle that was MC’ed by our very own classmate Joey! I noticed a man who was especially eager to win, telling us to shake the box of tickets really well. When his number was finally called, he raised his ticket and let out a loud and strong “YES!! !” which was absolutely hilarious. ​In the very end, I tried to encourage some more seniors to go up to the dance floor, but many kindly refused. I then spotted Dee, one of the women that we spoke to the last time we came to Casa. I went up to her, held her hand, and led her to the dance floor. She agreed with a smile and then two other ladies followed. One of them was a 92 year old woman who was actually on the dance floor for almost every song. She’s so cute! My classmates on the floor welcomed everyone into the circle with cheers. I had absolutely no idea how to move my body so I just followed everyone’s moves. When the music ended, I couldn’t believe that it was over. I wanted the dance to last longer because I loved the energy and vibes in the room. There were many seniors who didn’t dance, and I had thought that they didn’t enjoy the event as much. However, I was glad to know that they enjoyed it equally as much after reading my classmates’ blog posts. In fact, one of the elderly men came up to me and expressed how thankful he was for this event on his way out. Of course, many of the elders couldn’t dance because of physical restrictions, so it was awesome to know that they still enjoyed the raffle and live music. Today’s class was filled with presentations, starting from the Oral History Projects to the Group Presentation on the book This Chair Rocks. I finally presented my memoir on my grandma, and I felt so accomplished when Trish Benesh, the author of the memoir book we read for this project, commented on my choice of quotes in my presentation. During my two-hour interview with my grandma, I took an excessive amount of notes because I thought that I would need all the details I can get. However, when I was putting together my digital memoir booklet, I realized that I didn’t have space to write a whole essay about my grandma. Therefore, I just wrote a brief rundown of 3 memories and emphasized a few translated phrases from my interview that were especially deep or heartbreaking. I think that the quotes represent the stages of my grandma’s life really well and I was extra careful in translating them from Chinese to English, so I was glad that Trish had a positive comment about them. ​This past Monday, my Neighborhood Assessment Project (NAP) group took our first trip to Barrio Logan to assess how age friendly it is. We actually had quite a scary start. Right when I got out of the car, an aggressive homeless woman assumed that I had taken pictures of her or the murals (I did not do either) and started yelling at me while pointing her umbrella. I was really caught off guard and thought that she was going to start a fight. We got back into the car, and while driving off, I see her pull a man towards us while continuing to yell and point her umbrella. I couldn’t really focus after that incident but we found a few notable places like the Logan Heights Health Center, Mother’s Nutritional Center, and a community college. 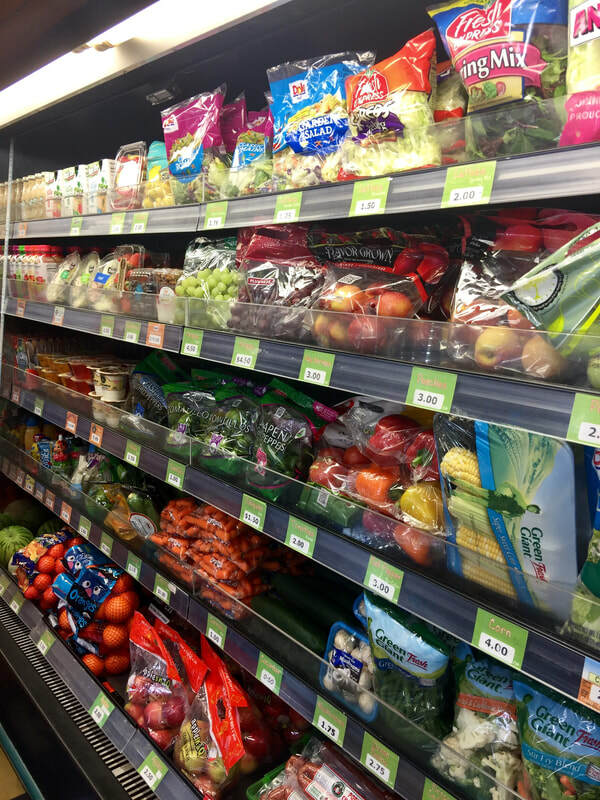 The nutritional center stood out to me the most because it offers a straightforward way for mothers to grab their WIC groceries without having to deal with that in huge grocery stores. I was really happy to know that this service exists.The little store was clean and organized with fresh produce (like papayas and avocados!) and packaged foods, with their names and prices clearly displayed. My groupmate mentioned how it would be nice if our hometown San Francisco had this type of service. I agreed and thought that neighborhoods like Chinatown would benefit from centers like this that breaks down complicated procedures for residents who do not speak English and have trouble finding the items that are covered by WIC. The highlight of today’s class was seeing my classmates’ Oral History Projects on their Extraordinary Person (EP). Some created artsy booklets about their EP’s life while others put together an airplane model and jewelry box. It felt really special to get to hear the EPs’ unique stories about their childhood, love life, and journey. Each story evoked different emotions, but I was smiling the whole time because everyone was beaming while introducing their EP. I learned about the struggles that all of them faced - being a refugee, starting life all over again, feeling scared for their life everyday, and raising multiple kids. Through the stories I heard today and the stories that my own EP (my grandma) shared with me, I realize that I am so fortunate to be living a life that is free of struggles other than first world problems. I feel safe, and it’s really sad to know that people out there don’t feel safe even at home. When I was learning about my grandma’s childhood, I felt as if she lived in a different world. This project is definitely opening my eyes and giving me a glimpse into the lives of people from all walks of life. ​We also briefly threw out ideas about what kind of Healthy Aging Projects we want to organize for next quarter. For me, I love cooking and trying out foods from different cultures, so I’m considering an intergenerational recipe-sharing and cooking type of event. It would be so fun to get to know the elders’ stories behind their recipes and how the dishes fit into their childhood. My other classmates built off this idea and suggested cooking competitions and healthy cooking demos. There are so many possibilities, so it’ll be hard to decide on just one or two. I love how this program allows all of us to independently design our own projects with the same goal and making them come to life! We started class with the first current event presentations for the quarter. The topics covered included loneliness, caretakers’ stress, and driving as elders. The question that got me thinking the most is deciding what age is too old to drive. This question arose from recent news of the UK’s Prince Philip, who is 97, getting into a car accident. Setting the rules for when someone has to give their license is extremely difficult since driving often represents freedom for nearly all of us. This didn’t apply to my family’s life as much since I am from San Francisco, where the public transportation is amazing compared to other cities. In S.F., there are bus stops everywhere and buses come frequently, so it’s easy to go to any corner of the city. However, after coming to San Diego, I realize how isolating it can feel to not have a car. A 13 minute drive may translate to an hour bus ride. Now, I can see how important it is for a city to provide reliable public transportation or other ride services to its residents. This reminded me of my travels to Asia (specifically Seoul, Tokyo, Shanghai, and Singapore) where the public transportation system in big cities are spot on with providing frequent and extensive services. In Seoul and Tokyo, a majority of the population rely on public transportation, and it was evident whenever I hopped on the subway. There was a mix of the elderly population going to the market and the younger adults heading to work. The subway maps are easy to read, and there are many exits to take people closer to their destination. I truly miss Asia’s subway systems because of their efficiency, and I often wonder why American cities cannot offer the same. ​For the rest of class, we discussed the Neighborhood Assessment Projects (NAPs), individual and group Healthy Aging Projects (HAPs), and book presentations. After a few weeks of confusion, I was glad to finally get clarification on the specifics of these projects and get started on them. My group is analyzing Barrio Logan for the NAP, and I’m excited to get to know this area that’s full of history and culture. Overall, it was really overwhelming to hear about all our projects at once today, but I’m confident that every one of us will pull through and do so well! Today, we took a tour of the beautiful Casa de Mañana Retirement Community right next to the ocean. Right when we walked in, I was blown away by the grandeur of the common area and hallways. Fancy, ornate sofa chairs filled the common room and the hallways were lined with unique, handmade art pieces. In comparison to the affordable housing options, the hotel-like Casa de Mañana seemed like a whole new world. We were told that many of the residents have had higher education, and that the rent ranges from $3,500 upwards to around $12,000 a month. I was completely mind blown. We took a look at the gym that came with personal training services, the dining room that looked like a huge restaurant, and the expensive villa residences that offered a full ocean view. One other thing that caught my attention was that every resident who lives at Casa has a rosebush dedicated to them. That is such a wonderful touch, and it’s crazy to know that Casa has so many resources for their residents and they are able to do something extra like this. This is definitely a huge contrast from what we’ve seen and discussed in this class so far. ​We then met 3 elders (who are in their 90s!) named Dee, Helen, & Ed. They gave us a brief rundown about their life and talked about their education, children, and life here at Casa de Mañana. Between Casa and the affordable housing communities, I noticed a difference in the topics that residents talk about when we asked about their lives. At Casa, the elders mentioned their educational degrees, professions, and achievements. 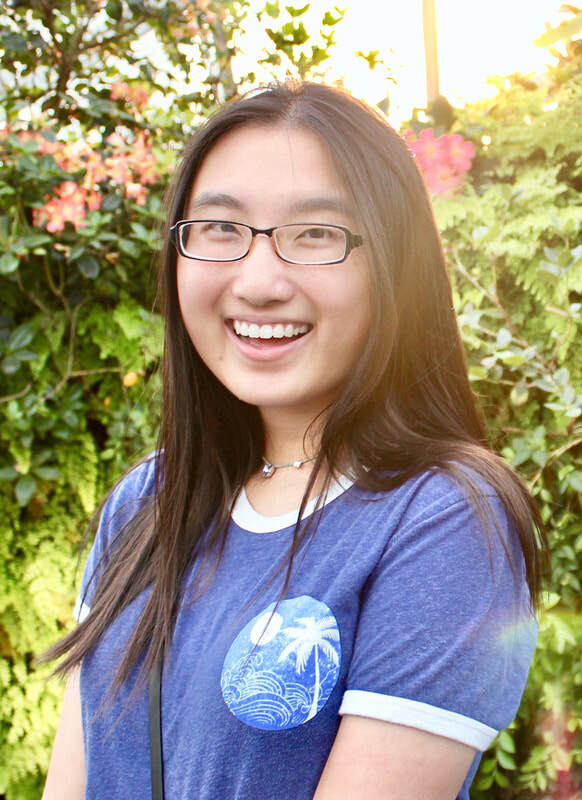 When we spoke to Irene at the Potiker Residence last week, she mainly elaborated on her hardships and hope for the future. Just by noticing what people choose to share about themselves can really tell us about the types of life events they experienced. It was interesting to see and hear from different populations within the San Diego community, and it definitely puts things into perspective. The menu of the day at the Potiker Senior Residence. On this Saturday morning, our class went out into the city to tour affordable housing options for seniors. We saw from a range of transitional housing with poor air ventilation to LGBT-friendly housing with exceptional attention to detail. The places that stuck on my mind were the ones that were the first two we toured in detail. This included the Sara Francis Hometel & Potiker Family Senior Residence. 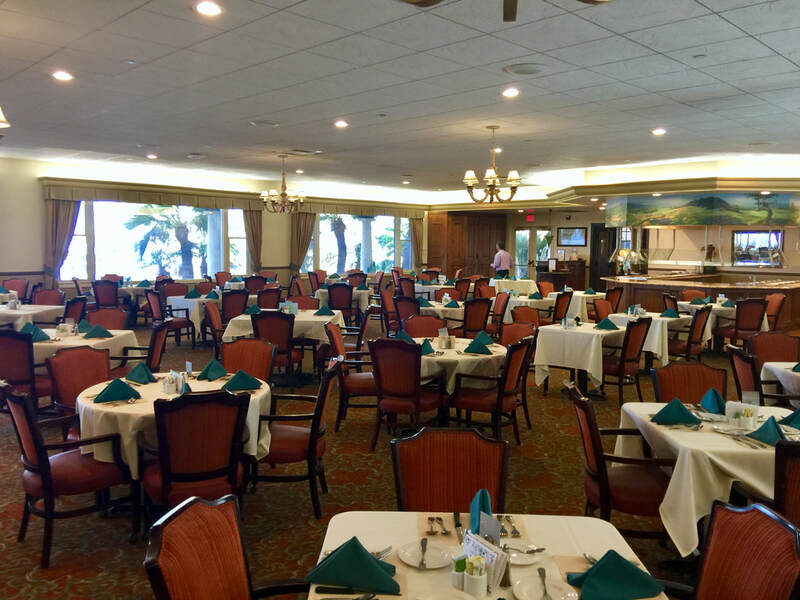 We got the chance to peek inside a vacant room at the Sara Francis and I was shocked. Right when the door was unlocked, an extremely unpleasant smell, accompanied by around 10 flies poured out. In the 100 square feet space, there was a bed frame and a sink area. This was one of the many rooms in this residence that shared one toilet, one shower, and one washer & dryer. Some residents had aggressive notes and questionable items attached to their doors. Seeing these residents’ living situation made me sad and a bit mad. I wouldn’t want my grandparents or anyone to live in Sara Francis because of the lack of space, amenities, and safety. While looking around, a resident straightforwardly told us to not live there because “it’s disgusting.” That was heartbreaking to hear. Although this place is transitional housing, I would want the residents to feel safe and at home even if it’s temporary. I feel like if there were basic cleaning services, the hometel would feel a bit more bearable to live in. At the Potiker Residence, I was glad to hear that the staff provides a variety of on-site services like the provision of two prepared meals a day. As a major foodie who’s interested in nutrition, I was curious to see what was on the menu. 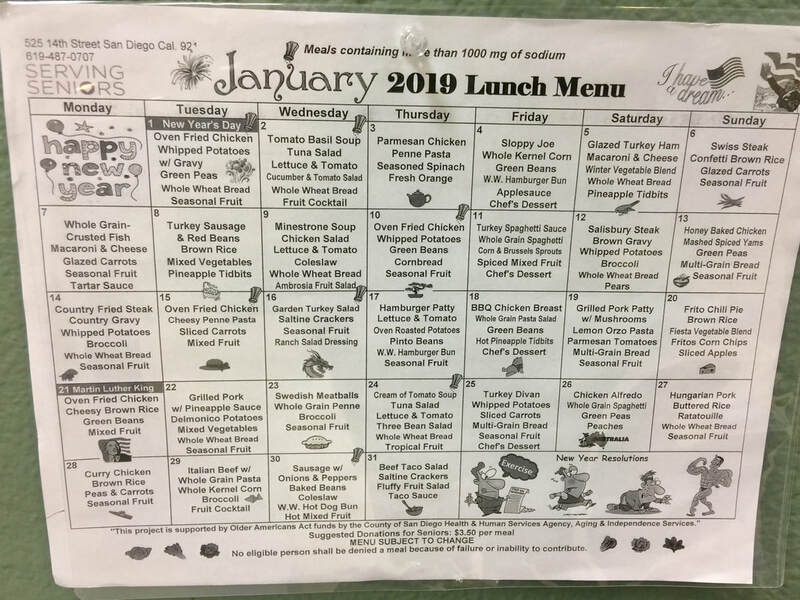 At first glance, I saw that the curated meals include healthier options such as whole grain-crusted fish, oven fried chicken, and brown rice in place of their less healthy counterparts. There are also plenty of vegetables and fruit incorporated into the meals. However, I saw that a good portion of what’s on the menu included typical American dishes like sloppy joes, macaroni and cheese, and whipped potatoes with gravy. Since the seniors who live at Potiker come from different cultural backgrounds, it would be nice to see more ethnic dishes on the menus. From my personal experience, I know that my dad and grandparents love their Chinese food, so I honestly cannot imagine them fully enjoying the dishes on Potiker’s menu. Food offers feelings of comfort and belonging in cultures, so the menu was something that stood out to me while touring the kitchen.